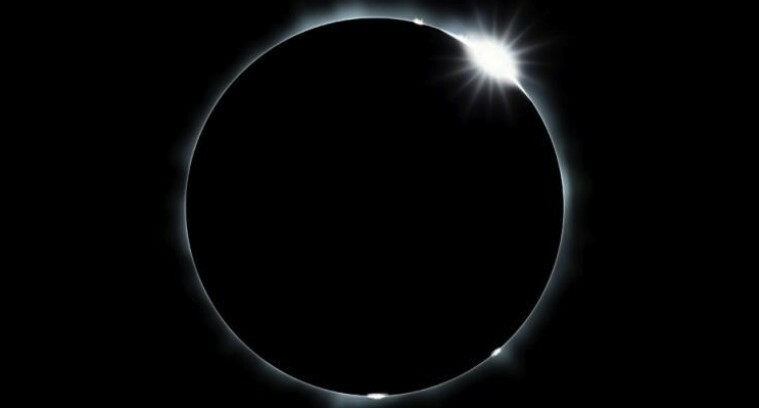 In Spain, the eclipse will begin in Canary Islands at 7:44 am, will pass mainland spain and start being visible in the skies of mallorca from 09:09 onwards, having its maximum view at 10:15 and ends at 11:25. The eclipse is visible from the whole of Europe, being almost complete over Iceland and Scandinavia, and is completely full from 90 ° north latitude, at the north pole. Recently, the European electricity production has been approaching more and more solar sources, which on March 20 could cut the power supply for a few moments. National officials of European electricity companies have implemented special procedures to prevent severe problems for some consumers. Total solar eclipses occur when the Moon comes between the Sun and the Earth and casts the darkest part of its shadow (the umbra) on Earth. The darkest point of the eclipse is almost as dark as night. Eclipses are named after their darkest phase. If a solar eclipse is total at any point on Earth, it is called a Total Solar Eclipse, even though it may be seen as a Partial Solar Eclipse from many other parts of the world. Remember not to look look directly at the Sun, eclipsed or otherwise, without proper protective eyewear. The Sun’s UV radiation can burn the retinas in the eyes leading to permanent damage or even blindness.